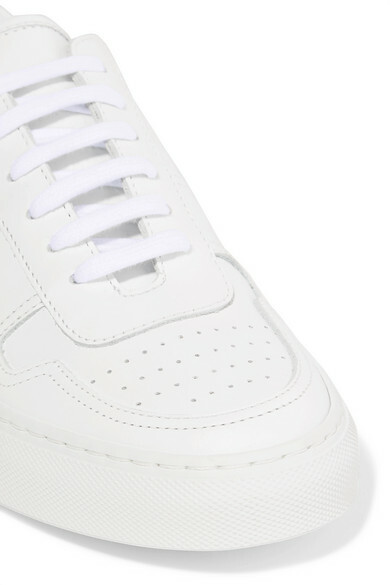 Common Projects' 'BBall' low-top sneakers have been made in Italy from optic white leather that's perforated at the top. They're stamped with the label's signature gold serial numbers and have flexible rubber soles. Shown here with: Burberry Sweater, Maje Skirt, LOW CLASSIC Bucket bag, Sophie Buhai Earrings.